Parking - Carlton Housing Estates Residents Services, CHERS. Priority parking permits for residents in all other areas in the City of Melbourne. The City of Melbourne has two resident priority parking permit schemes. One for Carlton, North and West Melbourne residents and one for all other areas. The objective of these parking schemes is to provide a fairer and more efficient parking system for residents, business operators and visitors. Residents who live in Areas 1A, 1B, 1C, 2, 3A, 3B, 8, 10, 16 within the City of Melbourne municipality are entitled to apply for up to two parking permits, one of which may be a transferable parking permit. However, if you live in areas 7, 12, 14, 15A, 15B, 17, 18 and 19, you are only entitled to one residential parking permit or one transferable parking permit per property. To be eligible for these parking permits your home must have a certificate of occupancy dated before 25 March 2010 (3B, 7, 12, 15A, 16, 18) and not be rated as a commercial property. You can apply parking permit for a particular on your name or none car specific which you display on your car. Both are $20 a year for residents of Carlton. 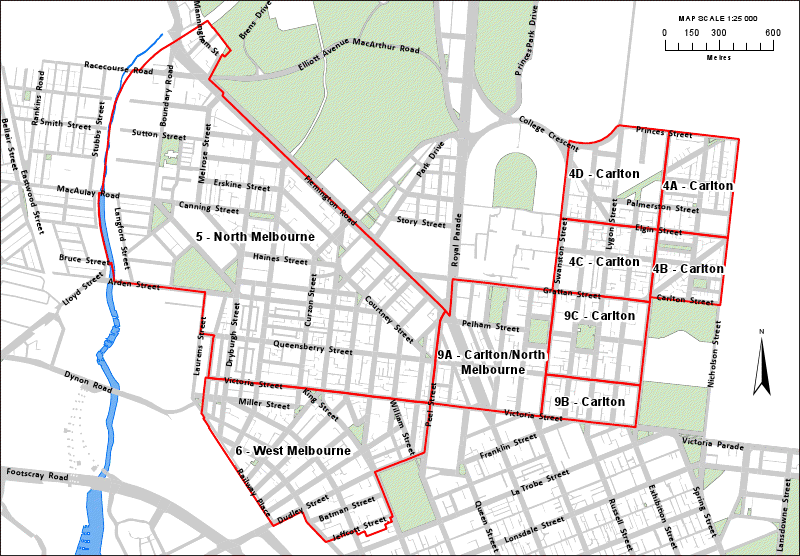 As residents of Carlton which is part of City of Melbourne you can apply free 24 hours parking permit in your are, see your area border from the left . It is becoming apparent that there is a car parking issue in the Carlton estate, we are not sure what has exacerbated it recently, is it the redevelopment only or is there some other factors, we appreciate your feedback and what you think is the source of the problem, also any solutions that you may propose, In order to have a better picture of the problem and how Many people it is effecting. Can you please complete this form Parking issues. So we can present a clearer picture of the issue to the authorities. For parking Information and parking Application, visit these links.